The Best Employee of the 3rd Quarter (July to September) Sales Sector went to Ms. Rose Ann Basadre, a Merchandiser from Channels Department. The Best Employee of the 3rd Quarter in the Support Staff Sector went to Mr. Bhuban Budhathoki, a Merchandiser from Channels Department. 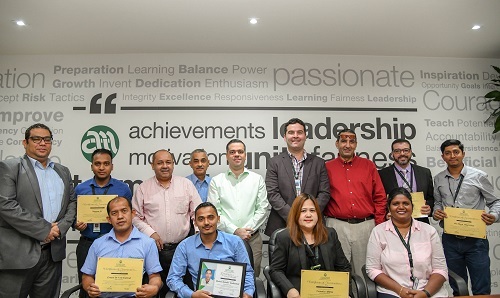 The Best Employees awards is part of the company’s effort of rewarding employees who have met or exceeded expectations in terms of sales, service, and overall performance on a monthly and quarterly basis. Almuftah Trading is one of the major divisions of Almuftah Group, catering not only to wholesale and retail of consumer and corporate products, but also technical and repair services of major appliance brands.